Latvian governemnt yesterday approved allocating EUR 158 million in improving air-surveillance and anti-aircraft capabilities.Defense Minister Raimonds Vejonis told members of the press that this sum is meant on improving air-surveillance and anti-aircraft capabilities in the upcoming eight years. The government accepted the ministry's proposals for the purchase of new air surveillance radar, individual anti-aircraft defense systems and weapons, as well as the modernization of current air-defense capabilities. ''If we implement our plans, we will be able to identify low-flying aircraft in our border areas, as well as significantly improve our anti-aircraft capabilities,'' the minister said. 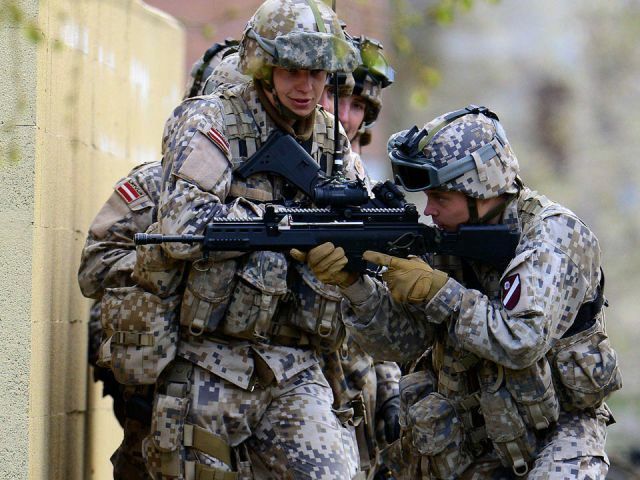 As reported, the Defense Ministry has selected the best solution for the procurement of an air surveillance system; in the near future the ministry will also inform the government about the procurement of anti-tank weaponry necessary for Latvia to defend from a possible aggression. The Defense Ministry has received bids from thirteen companies offering to supply air surveillance systems, necessary for bolstering Latvia's anti-air defense capabilities. The bids were evaluated by experts from the Defense Ministry and National Armed Forces who have selected the best offers, and their decision has been approved by Minister Vejonis. Speaking monday on Latvian Radio, Vejonis said Russia's military build-up was effectively causing a new arms race and drew particular attention to the fact that a modern attack helicopter base is operational just over the Latvian border near the city of Pskov. In order to respond to the threat, Latvia needs to invest around 140 million euros over eight years on air defense including advanced radar and the “Stinger” ground-to-air missile system, Vejonis said. The FIM-92 Stinger is a man-portable surface-to-air missile system (MANPADS) which was designed and manufactured by the American Defense Industry. The Stinger provides forward, short-range air defense against low-altitude airborne targets.